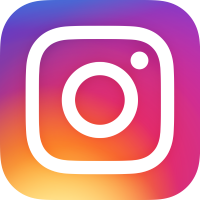 We've just added a lot of new social media accounts for the NiliPOD. You can see the icons for these on the top-right if you are using a desktop computer screen, and at the top below the podcast / iTunes button if you are using a mobile phone. Just click on the icons to open them up. We've not posted a whole lot yet, but it is our intention to keep these well and truly updated with all of our goings on, so please follow us / subscribe, whatever. Thanking you. Here's an update then - it was really, really good. We absolutely loved it, but it was incredibly sad though in some parts and there were tears. The explosions and special effects kept making us jump as well, so it was a real rollercoaster of emotions. We have decided to dedicate this week's podcast to the Hunger Games and there's a great quiz in the 'vs' feature, so tune in and play along - and see if you can beat us at home. It probably won't be too difficult! We're off to see the new Hunger Games film tonight, at our local Odeon cinema. Can't wait, although we are a little bit nervous that it won't live up to the actual book, which was just so unbelievably brilliant. We're going to talk about it tomorrow on the podcast, so let us know if you have any questions, and be sure to tune in for our Hunger Games podcast special (hopefully uploaded on Sunday), including another Nia vs Liv challenge that we know nothing about! We've just finished editing our web trailer video, for YouTube and our homepage. Check it out, and if you like it, please leave a comment and give it a massive thumbs up. Thanks loads. Do you like our new jingle for the 'Big Bag of Random' feature. We absolutely adore it and we are actually singing on it, although our voices have been a little manipulated, thanks to the helium filter on GarageBand. Here it is if you want to listen: Podcast Jingle. This is some fun news. 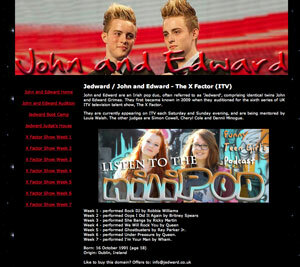 We've managed to get ourselves some advertising space on the website jedward.co.uk. It looks great and we hope that some Jedward fans will find their way to the NiliPOD. All big hair welcome here. Introducing the NiliPOD Feely Pod! Nia loved this challenge and has always wanted to do this, but Liv wasn't so sure about playing the feeling game as she was worried that it was like a 'bushtucker trial'. There were five separate compartments with five separate holes in the front, where you put your hand through to see if you can feel to see what is inside. As this was the SpookTacular Special, there were some really disgusting things inside, including giant mealworms and a pigs trotter. Tune into the SpookTacular episode to see who won this ridiculously scary challenge. Any ideas? Have you ever played a game like this? And what did you dress up as this year for Halloween? We dressed up as Dan and Phil, with cats faces. Not exactly scary, but it was fun.